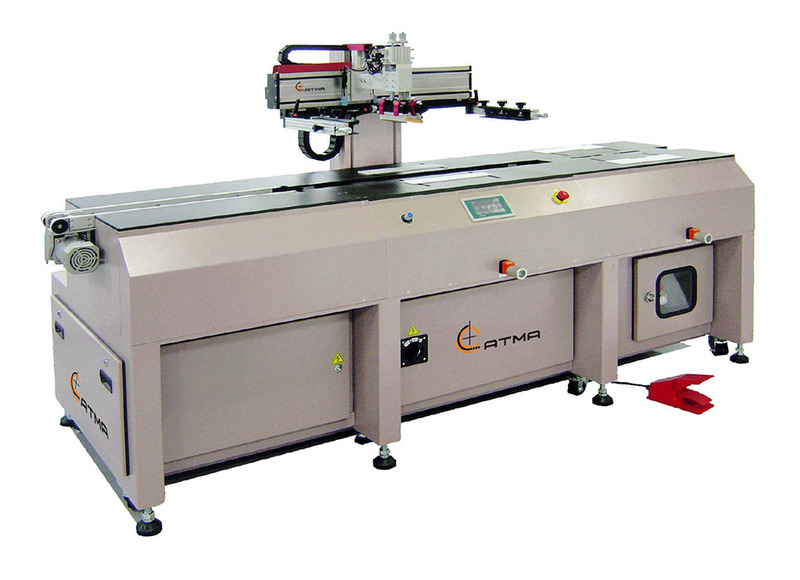 Suitable for high accuracy screen-printing on glass panels. Max. O/D frame size 600mm x 700mm 23.6" x 27.56"
Min. O/D frame size 400mm x 400mm 15.75" x 15.75"
Max. printing area 307mm x 307mm 12" x 12"
Printing table height 950mm + 30mm 37.40" + 1.18"
Printing table size 580mm x 2400mm 22.83" x 94.49"
Vacuum area 320mm x 320mm 12.6" x 12.6"
Vacuum hole size Ø 2.0mm Ø 0.0787"
Screen fine adjustment X/Y axis ±10mm / ±10mm ±0.39" / ±0.39"
Substrate thickness 2mm to 12mm 0.07874" to 0.47"
Screen cleaning level 210mm 8.27"